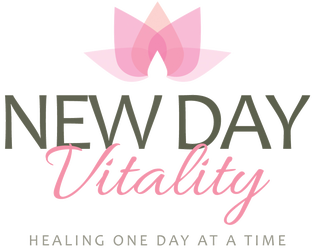 Get inspired and take action monthly with New Day Vitality Mental Health Counseling PLLC! Click Here to Learn About Services! New Day Vitality Mental Health Counseling PLLC is ready to help you on your journey today, give us a call. I believe that every person has the right to a fulfilling life. As human beings, we are all in need of love, compassion, vitality and respect. Life can be difficult at times particularly when these things are missing. Solving these issues or living happily from day to day can be problematic when we aren't feeling our best. What I aspire to do as a psychotherapist is to help you resolve any challenge you may be confronting. Whether these challenges are interpersonal challenges such as depression or anxiety, or relationship or family issues. I can work with you to face your issues head on in order to help you feel good about yourself and life again. Through the therapeutic process, I have had the honor of witnessing clients experience relief from anxiety and depression, reach new levels of personal and professional growth, enter into and maintain recovery from addictions and eating disorders, operate from a more empowered place, find profound new meanings in life, engage in more effective communication, discover personal values, needs, desires, and hopes, dreams and experience improvement in love / familial relationships. I see therapy as a collaborative effort between the therapist and client. Every therapeutic relationship, just like every individual, is unique, and the connection between the therapist and client affords tremendous opportunities for healing. It is vital that you, the client, feel a connection with your therapist, and feel that the therapist is invested in your best interests. My holistic and client-centered approach integrates aspects of psychodynamic psychotherapy, mind/body/soul psychotherapy and mindfulness techniques. By developing greater awareness and insight, my clients will be able to better manage their symptoms and develop tools that help them lead happier, more gratifying lives. I work with Adults and Adolescents. Seeking therapy is often a challenging, courageous decision, and I would be honored to support you in your journey. Two convenient locations where as your Psychotherapist I provide Psychotherapy, Westchester NY, Bronx NY. Learn more about Colette from a Therapists perspective! The lotus flower is a stunning flower to see up close. It's hard to imagine that such a beautiful flower flourishes among a murky pond that's dirty, muddy and bleak. But the breathtaking flower shows us that beauty, resilience & strength can exist anywhere, even in the most darkest, ugliest places. This powerful flower is associated with spirituality, growth and vitality. New Day Vitality Mental Health Counseling PLLC is honored to be apart of your journey, and like the lotus, through hardships, we want to help you grow, develop, flourish and be the best, strongest version of you. With every hardship comes ease, strength and inspiration. Like the lotus, you to shall flourish. "The mind is everything, What you think you become." We treat clients in: Eastchester, Scarsdale, Bronxville, Ardsley, Yonkers, White Plains, Larchmont, Pelham, Hartsdale, Irvington, Hastings, Bronx, Tuckahoe, New Rochelle, Tarrytown, Rye, Portchester, Mamaroneck, Edgemont, Sleepy Hollow, Mount Vernon, NYC, Bronx and Westchester County.